Another couple weeks of making these small landscapes and stitching into them. This process feels exactly right for me at the moment. I love the immediacy of applying color when painting, but I have also been loving how stitching slows you down. Plus I can comfortably stitch while sitting on my couch watching tv. That's where you can find me these days. We've been lucky to have some nice overcast gray days lately, which are my favorite. And I crossed paths with this fox recently... 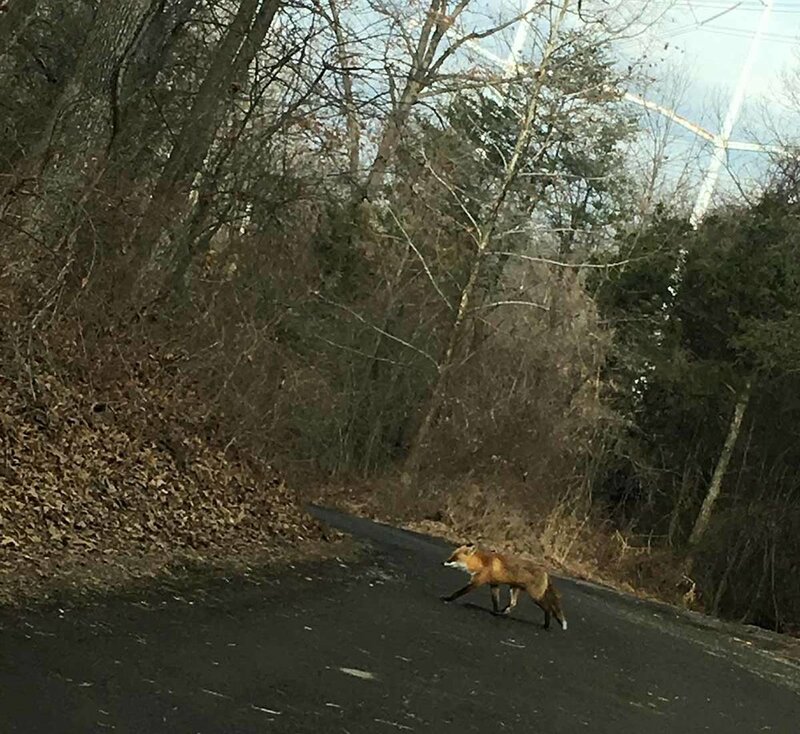 I was in my truck and the fox did not even care that I was around. They seemed hungry. Here's another stitched and painted landscape. This image here is when it was in progress, and the next image shows how it changed when I added more color to it. I added some brighter colors, stitched small squares of painted cloth and some old broken jewelry to it. I've been keeping my hands busy, at least.